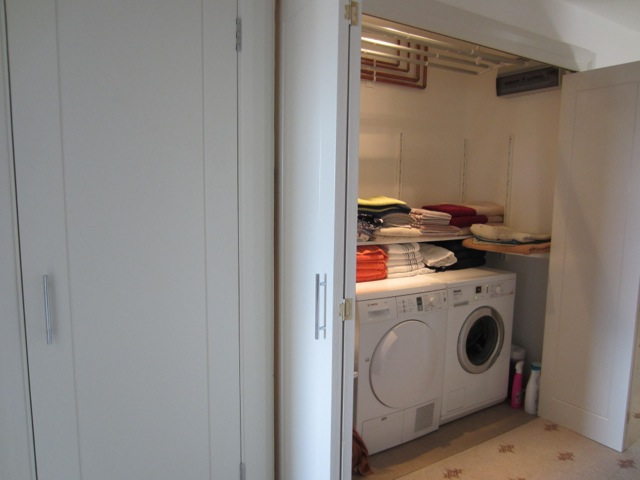 The airing cupboard was extended and the hot and cold water tanks moved to make room for a utility cupboard. 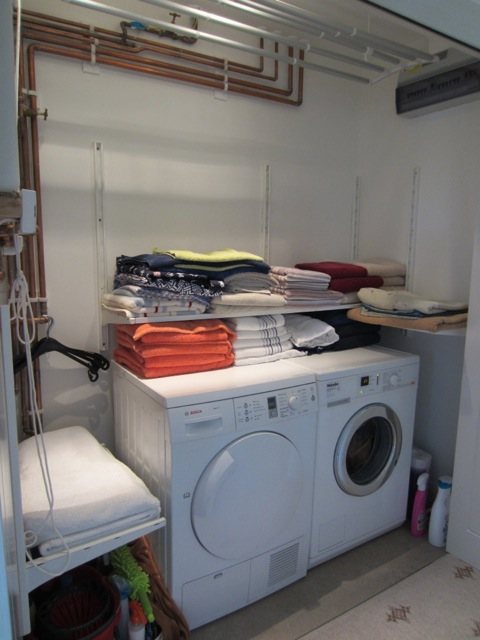 The utility cupboard houses the washing machine, the tumble dryer and a drying rack. It also has shelves that hold all the towels and linen.